I've walked so much today through snow puddles and slush only to find out the restaurant I was aiming for was closed. Thank God that Ootoya was open! 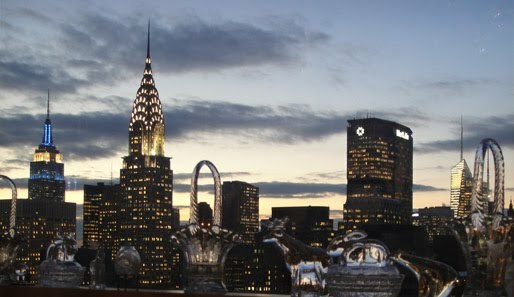 I have been here before and really liked it. I think they serve really authentic Japanese food and they serve it really fresh. Even though their sushi dishes are basic and familiar pieces, they are fresh. Tonight, I went for the original Ootoya Pork belly set. I liked the grilled pork. I think it was grilled. It was tender and juicy and sliced to pieces ready for you to eat it with chopsticks. For those who don't know how to use chopsticks, they can give you a fork. But you really won't need a knife. It came with watercress salad, mashed potato, pickles on the side, bowl of rice and tofu custard in the small covered bowl. Above is an appetizer which I ate as my dessert. 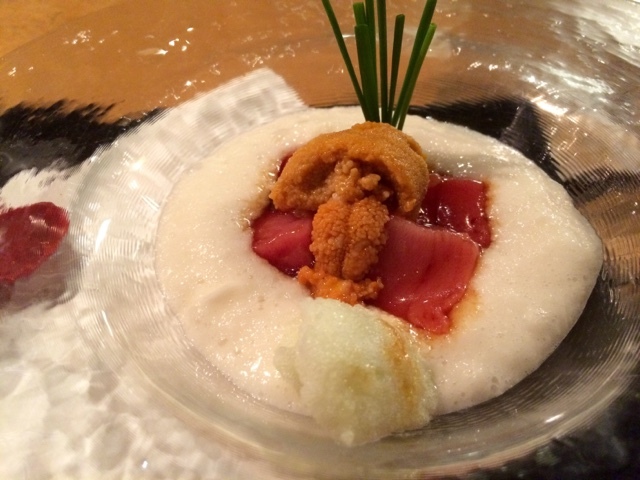 This is blue fin tuna with Uni on top of grated yam - which has the consistency of nato. 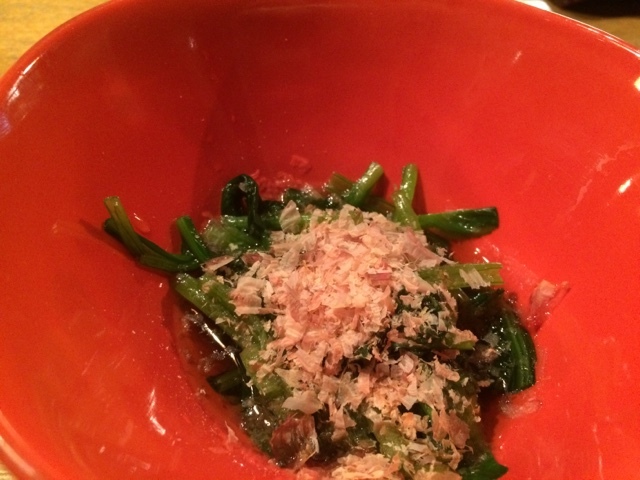 Above is a side dish of spinach with some mini mushroom and shredded bonito flakes. A little bit on the salt side, I thought. But I wanted more vegetables. They serve various items from grilled fish, sushi and sashimi, soba, ramen, chicken, beef and pork. 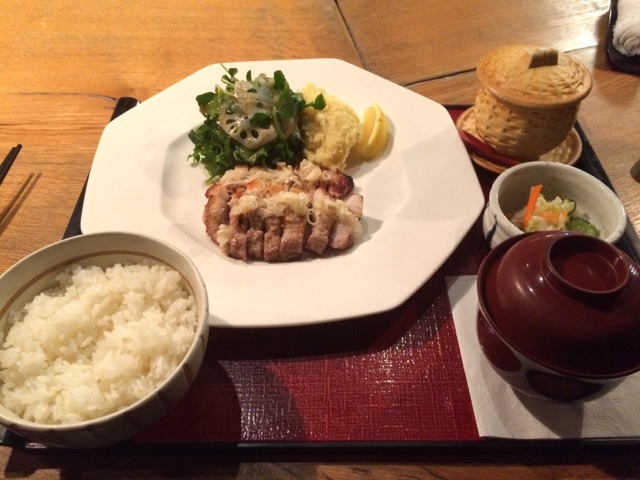 It is a very reasonably priced restaurant serving authentic dishes like as if you went to Japan.